Let me introduce you to my new favourite couch accessory - the snowflake pillow! After spotting Rachel's original, I practically begged her for a tutorial so I could credit her creativity. I started on my blue version a day later and it sat half finished for the past few months. I debated machine quilting this pillow to finish it quickly, but kept going back to the idea of hand quilting it. In the end the hand quilting idea won, and I'm really glad I made the extra effort. 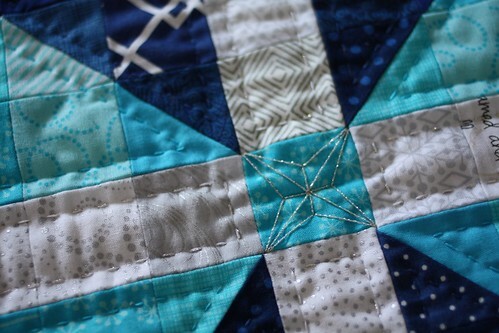 I love the subtlety that the quilting adds while still giving texture. I used a Cosmo glitter floss in silver to quilt the background and I think it added just the right amount of shimmer. 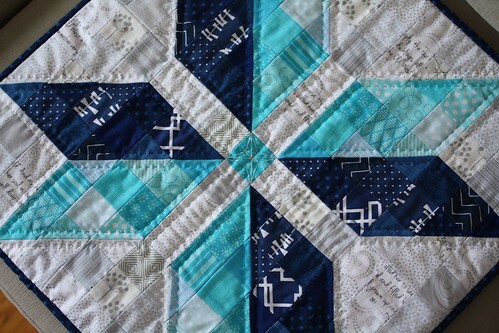 I also added a mini snowflake detail in the centre square to pull it all together. One can never play with too much shimmery quilting floss! 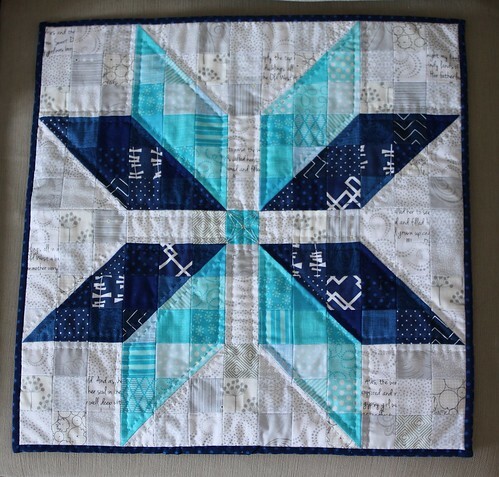 When pulling scraps for this quilt, I intentially looked for dark blue prints that were used in my hubby's Manly Plus Quilt. I love how they coordinate and coincidentally so does the Mr. Let's just say we might need a second pillow soon. It's the end of a very long week and I'm ready to kick start my weekend curled up on the couch. See you on the flip side. This pillow looks great! 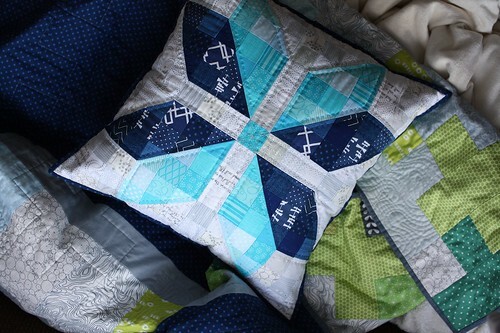 I really love the hand quilting as well. This is so pretty Kelsey! 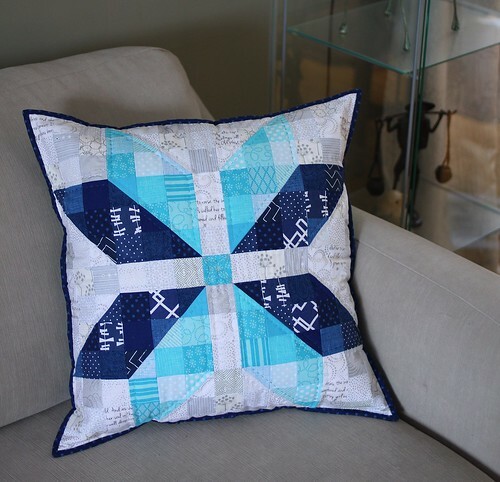 The hand quilting is gorgeous, and the colors of this pillow are perfectly icy.